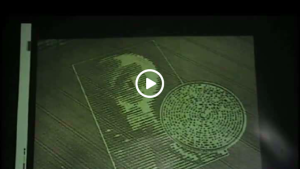 AN EXCELLENT VIDEO ON THE 2000 AND 2001 CROP CIRCLES AT CHILBOTON, ENGLAND that appeared to be a direct response to the 1974 Carl Saagan designed binary code DATA STRIP sent by NASA. An indepth analysis of the data strip and the sacred geometry used by the crop circle makers. HUMANITY HEALING VIDEO ON INDIGENOUS PROPHECY OF (WE)… THE RAINBOW WARRIORS. EXCELLENT! HUMANITY HEALING VIDEO ON THE ANGELIC HUMAN RACE- ALSO EXCELLENT. BREATH TAKING IMAGES FROM THE CHILE VOLCANOE PEYEHUE SET TO ENYA’S PAX DEORUM (Peace of the Gods). BEAUTIFUL AWARD WINNING TIME LAPSE PHOTOGRAPHY BY TOM LOWE OF OUR SOUTHWEST US DESERT. LORDS’ PRAYER IN ARAMAIC: Beautiful insight into the prayer as spoken by Jesus in his language.